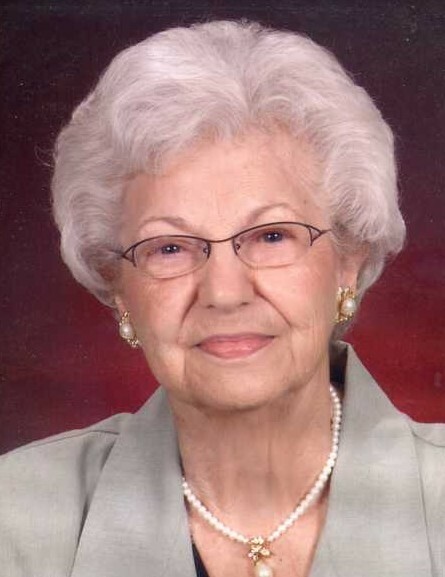 Mary E. (Buskirk) Hill, 91, of New Alexandria, died Wednesday, Feb. 6, 2019, in Ark Manor Personal Care Home. She was born Oct. 22, 1927, in Pittsburgh, a daughter of the late Rose Kruise Buskirk. Mary was a retired clerk for Sears and was a member of St. Bartholomew Church, where she worked the bingos, counted the weekly offering and was a member of the Church Fellowship. She spent countless hours volunteering at the New Alexandria Senior Center and served on the advisory board of the New Alexandria Corporate Board and the Senior Center Board, and she was treasurer for the Sears Retires Board. She also was a very active leader in the Westmoreland County 4-H program. In addition to her mother, she was preceded in death by her stepfather, Albert Buskirk; and her husband, Edgar L. Hill Sr., in 1985. She is survived by her two children, Edgar L. Hill Jr. and wife, Jennifer and Diane Sigafoes and husband, Jim, all of New Alexandria; four grandchildren, Christina Rosko (John), James Sigafoes, Justin Hill (Megan) and Jared Hill (Alyssa); five great-grandchildren, Evan, Kelsey, Brandon, Ryker and Paxton; a brother, Arthur Buskirk, of Greensburg; and several nieces, nephews and cousins. Relatives and friends are invited to celebrate the life of Mary from 2 to 8 p.m. Friday in the CLEMENT L. PANTALONE FUNERAL HOME INC., 409 W. Pittsburgh St., Greensburg, PA 15601, 724-837-0020. Parting prayers will be held at 9:15 a.m. Saturday in the funeral home, followed by a funeral Mass to be celebrated at 10 a.m. in St. Bartholomew Church, Crabtree, with Father Justin Matro, OSB celebrating. Interment will follow in Twin Valley Memorial Park, Delmont. Mary's family has entrusted her care to the Pantalone Funeral Home Inc., Greensburg. To share your memories and photos, offer your condolences, or for directions, please visit us at www.pantalone.com. Natale N. Pantalone, supervisor.